In a smart post on the subject over at Forbes, writer Paul Tassi compares how the game turned out to some of the ways director Todd Howard described it during Bethesda’s E3 presentation in June. 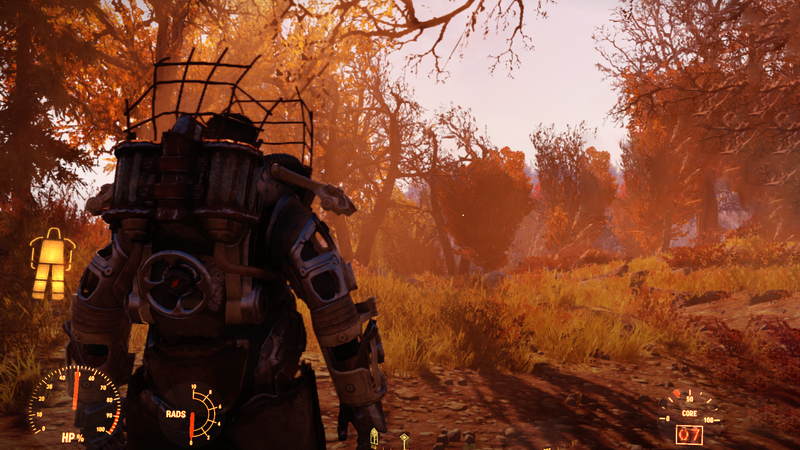 Howard talked up the game’s “all-new” rendering technology, but Fallout 76 doesn’t look that much better than past games in the series, with just a few exceptions. Howard said 76 would get a beta to help the launch go smoothly, but said beta ended up taking place right before release, making it feel more like early access for people who pre-ordered and not a real testing period where Bethesda could take the feedback it received and use it to improve the finished product. Todd Howard on stage at Bethesda’s E3 Showcase 2018 talking about how players will craft stories in Fallout 76. One of the informational trailers shown during the E3 showcase described how players rebuilding civilization would be a key part of Fallout 76. The “desire to build” is what separates man from beast, the trailer says, before showing groups of players hanging out in outposts together fending off hordes of Super Mutants and the occasional Scorchbeast. In reality, though, players’ campsites are more like bachelor pads than communes. Players can’t build them together, and they disappear when they person they belong to isn’t logged in. And since there’s no way for multiple groups of people to all play on the same server together, building up rival camps and engaging in complex role-play, there’s no real way for players to become the heroes and villains in a larger, self-authored drama. “We have built a platform of 100 percent dedicated servers that will support this game now and for years to come,” Howard said during the E3 showcase. Assuming that last part is still true, it’s possible that Fallout 76 could still become the narratively rich online game Todd Howard originally described. What Bethesda shipped last week is not that game.